After recently having changed their top management, the air freight daughter of Air Berlin is going on the offensive with innovations and a new sales structure. 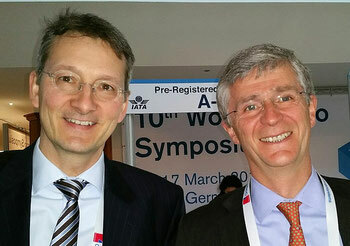 The new Managing Directors Klaus Sieger (KS) and Thilo Schaefer (TS) outline the future course of the Dusseldorf, Germany-headquartered total cargo management provider. It’s their first press meet after taking office August 2015 (Sieger) and March 2016 (Schaefer) respectively. 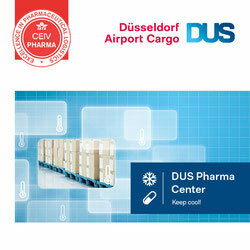 Q: Thilo and Klaus, both of you are jointly managing Leisure Cargo’s operation since recently. This raises the question about your individual tasks within the framework of leadership. TS: This is easy to explain. While I am responsible for all external functions like sales, operations and customer service, Klaus manages internal issues such as finance, accounting, personnel and procurement matters. Of course, basic issues concerning strategy, investments or mandate airline initiatives we commonly decide upon. Q: According to insiders both of you were extremely busy with clean-up operations since you took office. What went wrong in the past and needed to be cleaned-up fast? KS: We hope for your understanding but commenting on the company’s past is not one of our tasks. Instead, we are looking forward to not only maintain Leisure Cargo’s successful course but also to further improve our company’s market position. Q: It would be interesting to hear what initiatives you have in mind to strengthen Leisure’s role. TS: We are pursuing a growth strategy which we hope to achieve by focusing on two main strategic goals. Firstly, we aim at expanding our customer portfolio by gaining new mandate airlines particularly in Asia thus filling a gap in our existing global network. This also includes reviewing the performance of our current 14 mandate airlines. Secondly, we have highly ambitious plans to digitize all transactions based on common IT programs, this way enhancing the product quality, eliminating errors and getting rid of paperwork that consumes time and resources. Operating with standard processes and a globally uniform IT together with our single air waybill approach are sound foundations for improving today’s business and convince additional airlines to partner with Leisure Cargo. KS: At the end of the day, we will be able to offer clients uniformly high quality in terms of service and customer care throughout our entire global network, no matter which of our 14 mandate airlines transports physically their shipment. Q: What about the rapidly growing low cost sector. Do you target LCCs as well? TS: I can confirm this but in fact, we regard budget airlines rather as an addition to our portfolio. Our prime goal is to attract new carriers that operate a fleet of wide body aircraft on international routes. In this respect I like to point out that in contrast to our name we do not primarily target leisure carriers, but growth oriented line-haul airlines. KS: The opportunities are there because an increasing number of players consider outsourcing their cargo business due to cutthroat competition, declining yields and enduring overcapacity. These airlines we offer our concept of Total Cargo Management, taking over all responsibilities but also risks. Q: You speak of 14 mandate airlines. Which are the most prominent? KS: Of course, our parent company Air Berlin, Spanish carrier Air Europa, Montreal-based Air Transat, leisure carrier Condor and TUI Group airlines are the ones which are best known. 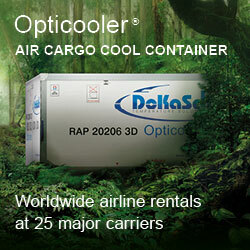 In addition, we run the cargo business of smaller carriers like Belair, Nikki or Luxair. In order to grow and complement our customer portfolio we are in advanced talks with new mandate airlines. Q: Touching sales and finances, it would be interesting to get some figures, like the tonnage transported by your mandate airlines and the total revenue generated from January until the end of June in 2016, also figures of the 1st half year 2015 for comparison. Addintionally, which share of turnover does Leisure generate with parent Air Berlin? KS: Air Berlin’s share has decreased in recent times, currently accounting for 20 percent of our sales. This because AB shareholder Etihad has integrated the Air Berlin-Abu Dhabi flights into their cargo responsibility, managing all processes since 2013, including routes to the northern parts of the U.S., which they run since May this year. We manage the cargo business on all other routes, particularly the Air Berlin flights to Florida and Latin America. Coming back to the figures, you wanted to know: Last year about 140,000 tons were uplifted on our behalf by our mandate airlines, generating total revenues of €150 million, leading to substantial gains. This year looks less promising due to the rate decline on many sectors, reduced volumes and over capacity. TS: I like to stress that this is not necessarily bad news because it puts increased pressure on many carriers to outsource their cargo activities. If so, we are there! wishing you all the very best. I know you can so it.